Which celebrity would you most like to be your granddad? Not Jeremy Corbyn, apparently! He is known for his defiance in the face of the not-always-favourable surveys of people’s voting intentions. But one poll Jeremy Corbyn might not be able to dismiss so easily suggests Britons are as lukewarm about the leader of the opposition’s credentials as a grandparent as they are about his potential to be prime minister. We asked 2,000 UK adults to pick from a list of 11 celebrities who they would most want to be one of their grandparents right now. Labour Party leader Mr Corbyn came last with only 3.8% of the votes cast in our survey, which coincided with national Grandparents Day. He was edged by rocker Mick Jagger, who won’t ‘get no satisfaction’ – as he only got 4.2% of the vote. Prime Minister Theresa May was third bottom with 4.5% and pop icon Madonna failed to ‘get into the groove’ with a not even ‘Borderline’ 4.8%. 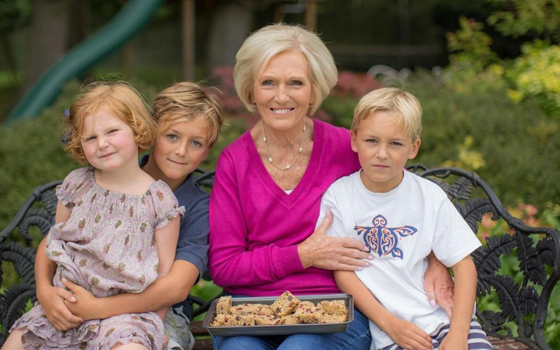 Rising to the occasion, however, was Great British Bake Off star Mary Berry with a whopping 16.8%, putting her top of the list. She was followed closely by actress Helen Mirren (16.4%) and, in third, Ab Fab’s Joanna Lumley (13.3%). Do you have an amazing grandparent? If you’d like to tell the world how cool your grandma or grandad is, click here to enter our competition and for a chance to win £50 in vouchers. If you would like to learn more about what products you can use to invest for your grandchildren, take a look at our My Choice ISA, designed specifically with grandparents in mind. The value of your investment can go down as well as up and you could get back less that you invested.